Why measure the ripple effect? Consider a leader coached on their ability to inspire and mobilise others. They may have traditionally relied on logic and facts to persuade others, but when challenged in their coaching sessions to experiment with various other techniques to influence a wider audience, they may incrementally start to change their behaviour by communicating with passion and purpose. As a result, people become receptive to this and begin to see their shared vision. They too begin changing their focus, momentum, and consequent interactions with the leader and others in the business more widely. The overall effect is a group, perhaps even business, that is more motivated, aligned, and driven to achieve the organisation’s strategy. The impact of coaching can therefore have a much broader reach than simply the individual who is being coached. That is why when measuring leadership, we should not only assess its direct impact to an individual, but also its indirect impact – the ripple effect. A leader’s direct impact can be measured in how they sell or decide on something that drives immediate results. A leader’s indirect impact, on the other hand, is how they create an environment to enable their people to direct, drive and support each other to deliver. YSC consultant, Nik Kinely, calls this Leadership Impact – the environment that leaders need to create to succeed. As a leader becomes more senior, the more impact they have in creating and defining this environment for their people. Through a global coaching program, YSC also found a ripple effect of coaching on team performance of those being coached. YSC ran a coaching program with an iconic beverages company that covered 150 coachees in 32 countries, focusing on connecting performance with the individual, company purpose and leadership possibility. A baseline measure of performance was assessed for the coachee and the coachee’s team, and a post-coaching measure was taken immediately following the program. 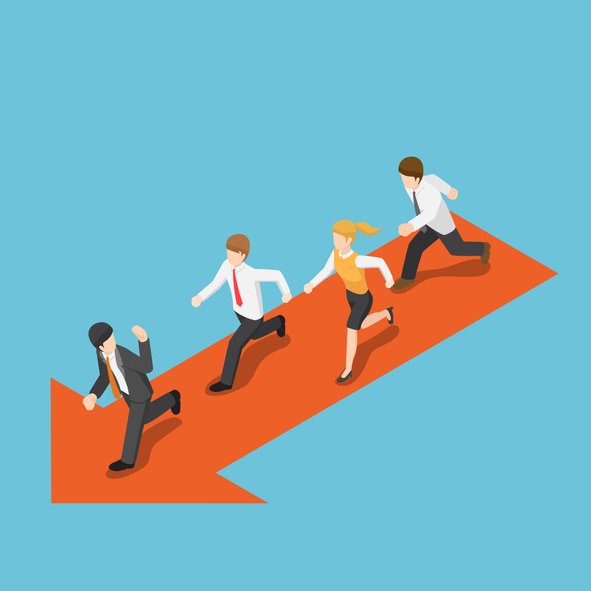 Results from the program for a group of leaders in Asia-Pacific showed that coaches who reported making more progress on their personalised leadership goals also saw higher individual performance increase. More notably, was that higher progress on individualised goals also saw higher team performance increase. Leaders who made more progress on leveraging their strengths had a significant impact on their team’s performance. Coachees reported that leveraging their strengths helped them form greater connections and increased their trust and empowerment with their teams. They described increased confidence in challenging their team and providing them with the freedom to succeed and grow. The result is that their teams felt more motivated to expand their impact across the organisation, thereby increasing team performance. Our coaches suggest that this ripple effect happens because coaching challenges leaders to think differently. Coaching increases self-awareness, which helps them realise the actions they need to take to enhance their impact on others. Leaders are provided with space to think about how they want to lead, and how they can do less and lead more through others. This acts a circuit breaker for some of their less helpful leadership behaviours and challenges assumptions in their existing behaviours. The result is deep insight and motivation to change, leading to a purposeful change in behaviour. When thinking about where to best invest in leadership development, there are multiple lenses through which to select the right leader that would benefit most from coaching. While seniority and visibility have roles to play, they are not the only criteria that should be considered. From our findings, once the full effectiveness of coaching is considered, and the ripple effect accounted for, it is often worth considering the leader that casts the greatest effect on the environment and others around them. It is those leaders with teams that would benefit from an uplift in performance through greater motivation, trust and empowerment that are likely to maximise the benefits of coaching for themselves, others, and the business.